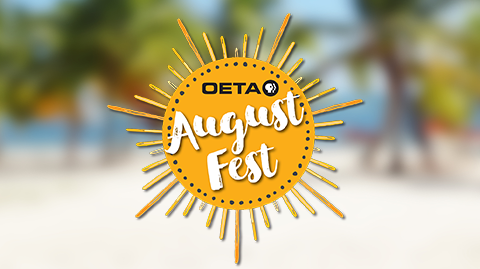 OETA announces the lineup for its annual summer membership drive, AUGUSTFEST, running Monday, Aug. 22 through Sunday, Sept. 4. Financial support contributed by viewers during AUGUSTFEST will help OETA Foundation purchase programs for 2017 including DANIEL TIGER’S NEIGHBORHOOD, MASTERPIECE, NOVA, NATURE, AMERICAN EXPERIENCE, AMERICAN MASTERS, ANTIQUES ROADSHOW, Ken Burns’ documentaries and more. The majority of OETA funding comes from private donations made by Oklahoma viewers and supporters of the nonprofit educational service. Of the contributed funds, $2.6 million is dedicated to purchasing and producing the programs Oklahomans watch on OETA each day – programs that play a vital role in educating, enriching and informing Oklahomans of all ages. AUGUSTFEST is OETA Foundation’s second biggest fundraiser each year. FESTIVAL in March is the largest. This AUGUSTFEST, OETA is presenting a mix of new specials and fan-favorites, packed with live music specials from 50s pop and 60s rock to country music’s best. Summer’s best television kicks-off with Willie Nelson, Waylon Jennings, Johnny Cash and Kris Kristofferson on THE HIGHWAYMEN LIVE AT NASSAU COLISEUM. The new special, premiering Monday, Aug. 22 at 7 p.m., features the country music super group performing classics like “Big River”, “Me and Bobby McGee” and “Always on My Mind”. The evening features a matching challenge by Potts Family Foundation, urging viewers to match their generous contribution of $25,000 for the night. Other matching partners include, Bank of Oklahoma and Puterbaugh Foundation. Later Monday, Aug. 22 at 8:30 p.m., CAROL BURNETT’S FAVORITE SKETCHES features the funny lady’s favorite moments from her long-running variety series, some of which haven’t been seen since their original broadcast. Carol hosts this hilarious new special alongside her troupe of regulars — Harvey Korman, Tim Conway, Vicki Lawrence and Lyle Waggoner. Cold War comedian turned psychologist Yakov Smirnoff will join OETA in-studio for the statewide premiere of his new special, HAPPILY EVER LAUGHTER: The Neuroscience of Romantic Relationships on Thursday, Sept. 1 at 7 p.m. Laugh and learn with the entertainer as he inspires viewers to bring back the honeymoon stage and keep it going. On Wednesday, Aug. 24 at 8:30 p.m., GREAT PERFORMANCES: Joan Baez: 75th Birthday Celebration, guests Jackson Browne, Mary Chapin Carpenter, David Crosby, Emmylou Harris, Indigo Girls, Damien Rice, Mavis Staples and Paul Simon perform in honor of the musician. On I MISS DOWNTON ABBEY, Sunday, Aug. 28 at 7 p.m., revisit moments from the show, including new behind-the-scenes clips and interview footage. Allen Leech (Branson) hosts. Then at 8:30 p.m., INSIDE POLDARK relives the thrilling first season of the series and includes a new look at what’s ahead in season two. Also included: THE KINGSTON TRIO CELEBRATION, premiering Tuesday, Aug. 23 at 10 p.m.; SUMMER, SURF & BEACH MUSIC WE LOVE, debuting Tuesday, Aug. 30 at 7 p.m.; STRAIGHT NO CHASER – SONGS OF THE DECADES, Thursday, Aug. 25 at 7 p.m.; JOE BONAMASSA: LIVE AT THE GREEK, Monday, Aug. 29 at 8:30 p.m. and THE BEACH BOYS GOOD TIMIN’: LIVE IN CONCERT, Friday, Aug. 26 at 10:30 p.m.
Other special programs include: TOMMY EMMANUEL: MUSIC GONE PUBLIC, Thursday, Sept. 1 at 9 p.m.; CALIFORNIA DREAMIN’: MAMAS AND PAPAS, Monday, Aug. 29 at 7 p.m.; THE MUSIC OF NORTHERN IRELAND WITH EAMONN McCRYSTAL, Tuesday, Aug. 30 at 8:30 p.m. and ANCIENT ROADS: FROM CHRIST TO CONSTANTINE, Sunday, Aug. 28 at 3:30 p.m.
OETA consistently engages Oklahomans across the state with educational and public television programming, outreach initiatives and online features that collectively encourage lifelong learning. Explore www.oeta.tv for more information about local productions, community resources and show schedules.